Do you remember when the internet started to become part of the general public’s awareness? The jokes, the way people would throw in a emphatic “dot com” suffix to any phrase that was worthy for being tainted with nerd stink. Throughout the 90s there were a growing number of TV ads which made use of the spritely little mouse pointer to indicate, variously, a kind of with-it technical currency and to lend computer literacy to a product or brand. As it became gradually apparent that the dot com bubble bursting of 2000 was not the end of that horrible digital blight on the cultural landscape as some sneering curmudgeons gleefully declared from the sidelines, the web 2.0 style of snazzy sliding transitions that came with a generation of tenured professional web design further influenced the styling of everyday media. And it wasn’t just the surface design, either. The on-demand rapid turnaround and borderless characteristics of the web set people’s expectations of services offline. The internet started setting the agenda. 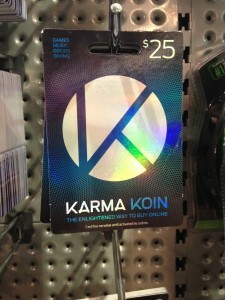 Likewise, as Bitcoin adoption grows, you should expect to see more and more attempts by marketing to cash in on cryptocurrency’s growing reputation, seeming somehow like Bitcoin by copying recognisable surface cues – QR codes, “coins” and “bits” and any adjacent term they can find. Expect lookalikes and rip-offs. No I don’t mean altcoins. There are already plenty of altcoins and they are, for the most part, just as revolutionary and capable of disrupting the legacy financial system if Bitcoin fails. These impostors are not open-source distributed cryptocurrencies but store credit points systems, loyalty programs, lotteries and contests or, private centralised currencies, or even scams and schemes. If the price of Bitcoin enters another bubble run, taking it significantly above the previous all time high, we will see a rash of these imitators, following the inevitable flood of gold rush headlines. Take this example. 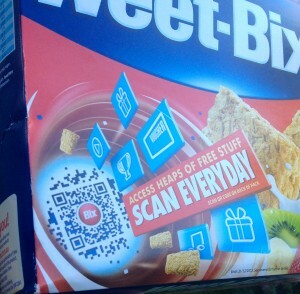 On a “Weet Bix” cereal box in Australia. Note you can “Scan the QR Code every day to collect more Bix”. Never mind that the whole offer had expired well before I bought the box and yes the expiry date of the food is still about a year off. 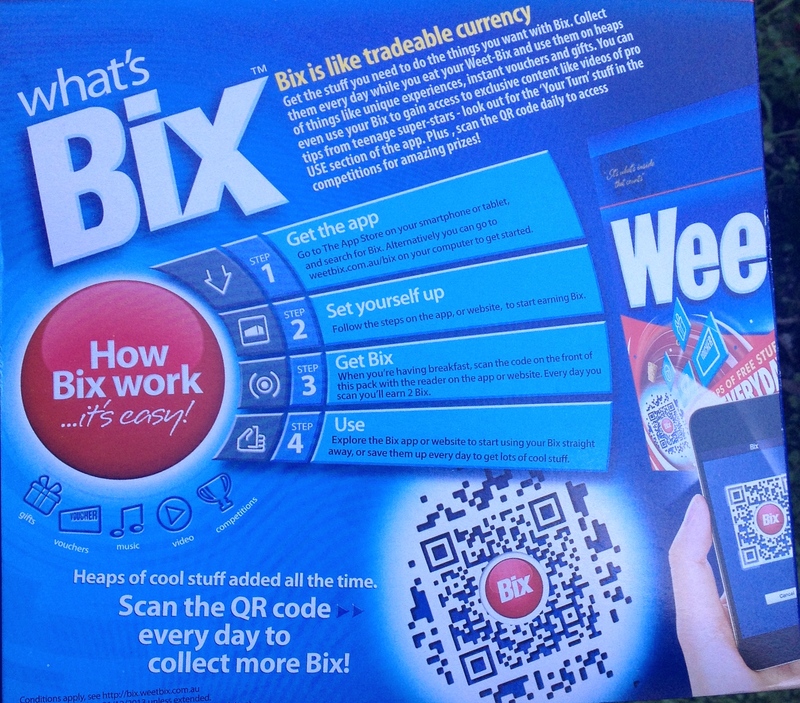 Note that “Bix is like tradeable currency” except for the little detail that you can’t trade it at all – you can only exchange it for “stuff”. 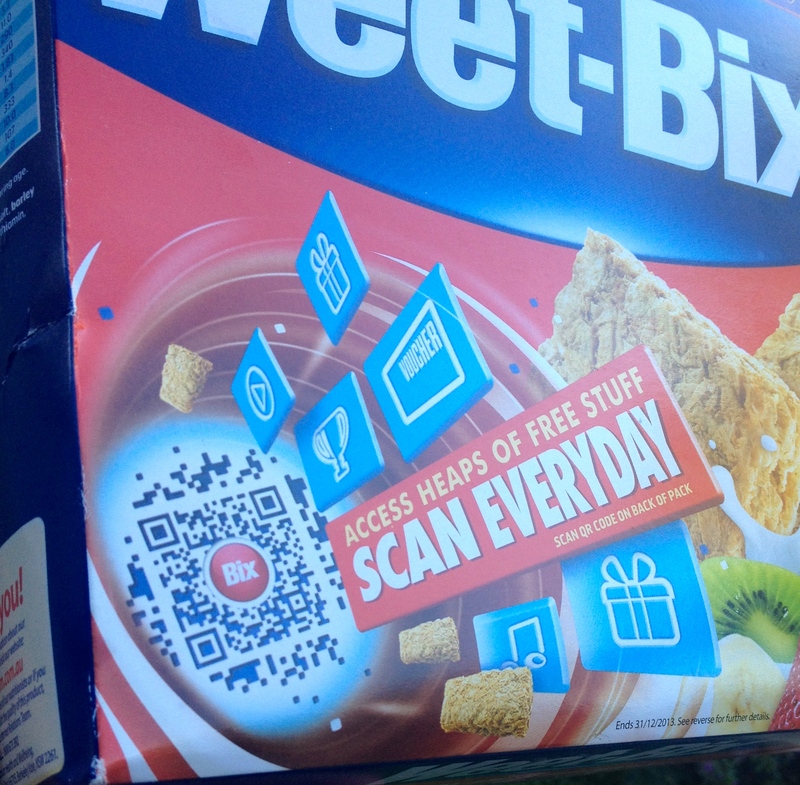 It’s basically a cereal box competition trying to look like that bitcoin thing the kids are talking about these days. It’s like a tradeable currency – except not at all. This entry was posted in Bitcoin and tagged adoption, marketing, media. Bookmark the permalink.